Genetically Inherited Diseases (GIDs) constitute to a large number of the debilitating and deadly threats to human health we face in the world today. From Alzheimer’s to autism to arthritis to alcoholism, mutations in one’s DNA play a major role in the onset of many infamous illnesses we’ve come to know and fear. Treatment of GIDs has proven to be challenging for three reasons: First, newly developed treatment methods for GIDs tend to be very expensive and/or experimental. Second, current available treatment methods (e.g., topical creams for arthritis), only treat the symptoms and do not reverse the process of the disease. Third, because GIDs are caused by predisposed genetic mutations, there’s currently no way to prevent the onset of most GIDs in people with said predispositions. 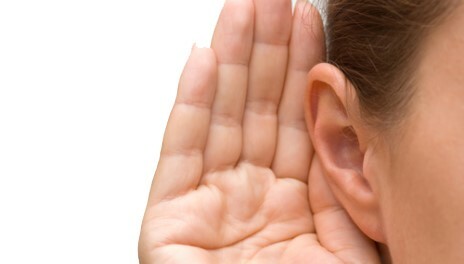 One such GID whose current treatment methods fall into all three of the aforementioned pitfalls is hearing loss (HL). In 2012, it was reported that approximately 360 million people worldwide suffer from HL, with 27.7 million cases for adults ages 20-69 in the US. Worse still, statistics from the US in 2017 show that these numbers have increased dramatically with little indication of slowing down: In 2017, 48 million people were reported to have HL in the US alone, nearly doubling the 27.7 million from 2012. Of all forms of HL, 50-60% of cases are caused by genetically inherited factors, with up to 30% of said cases caused by a dominant inheritance marker (known as an allele). In classical genetics, all traits an offspring can have are encoded by genes, and each gene consists of two copies of an allele, one from each parent. If an allele is considered dominant, the trait associated with it will be expressed as long as the offspring has at least one copy of it. In regards to HL, this means that those with a dominant allele are genetically predisposed from birth and guaranteed to develop HL at some point in their lives. Currently, the only treatment option for genetic HL is prescribed hearing aids, an extremely expensive option. Standalone hearing aids have a life expectancy of five years and can cost anywhere between $1,000-$4,000 (which cover the hearing aid devices and their maintenance, fitting, and insurance). On top of that, hearing aids are not covered by most medical insurance providers, so the user must pay out of pocket for hearing aids. Because of the high cost of hearing aids and lack of better treatment options for this debilitating disease, HL represents a major priority for research on slowing and reversing the disease’s onset. One recently published study that proves to be promising in this endeavor is the use of a newly developed CRISPR-Cas genome editing system to alter the deafness-associated gene Tmc1 (specifically, the dominant allele for this gene fittingly known as Beethoven or Bth+). CRISPR-Cas is a recently discovered immunity mechanism in bacteria that allows it to target and destroy harmful DNA (such as those from invading viruses). Furthermore, somewhat like our immune systems, CRISPR-Cas can adapt and reprogram itself based on the DNA it encounters. Because the CRISPR-Cas system utilizes this specific targeting mechanism against DNA, if we learn to control, manipulate, and deliver this system into eukaryotic hosts, it provides a prospect of specific genome editing the likes of which we’ve never seen before. Naturally, this would be very promising for reversing and curing numerous GIDs and cancers, thus pushing CRISPR-Cas research into the forefront of bio-medical research. In the aforementioned study conducted at Harvard University, mice with the Bth+ dominant allele were injected with the major workhorse piece of the CRISPR-Cas system (known as a Cas9-sgRNA complex) that was specifically designed to target said allele. They found not only that injection of these Cas9-sgRNA complexes reduced progressive hearing loss, but also that these complexes had minimal off-target activity, such that other functions like reflex reactions to sound and the brain’s ability to process sound as a whole were unaffected. Taken together, these results show that this early form of genome-editing therapy is both highly effective and relatively safe. This promising find will allow scientists to pursue this method for further development (specifically with testing this method on higher-order mammals such as apes and ultimately human clinical trials should progress continue). Overall, this research represents a large step forward for using CRISPR-Cas genome editing as an effective treatment method for GIDs and has opened the floodgate for further investigation into the true potential of this system as the foundation for a cure for GIDs. Jackson Campbell is a 3rd year PhD student in the Driskill Graduate Program at Northwestern University. He is currently pursuing his PhD in Microbiology/Immunology and is investigating the unique role the CRISPR-Cas system plays in Legionella pneumophila infection. Jackson previously graduated from University of the Pacific with a B.S. in Biological Sciences and has worked as an intern for the RISE and SROP programs at Stanford and Northwestern, respectively. Outside of lab his hobbies include guitar, creative writing, and gaming (especially Pokémon). He’s seldom seen without his favorite pair of headphones. 10. Shearer AE, Hildebrand MS, Smith RJH. Hereditary Hearing Loss and Deafness Overview. Gene Reviews, Initially posted February 14, 1999, last updated July 27, 2017. 11. Rath D, Amlinger L, Rath A, Lundgren M. The CRISPR-Cas Immune System: Biology, Mechanisms and Applications. Biochime, Volume 117, October 2015.